H.E.R.O. - Lashback is out as of 3/20/2015! Link on the Books page. 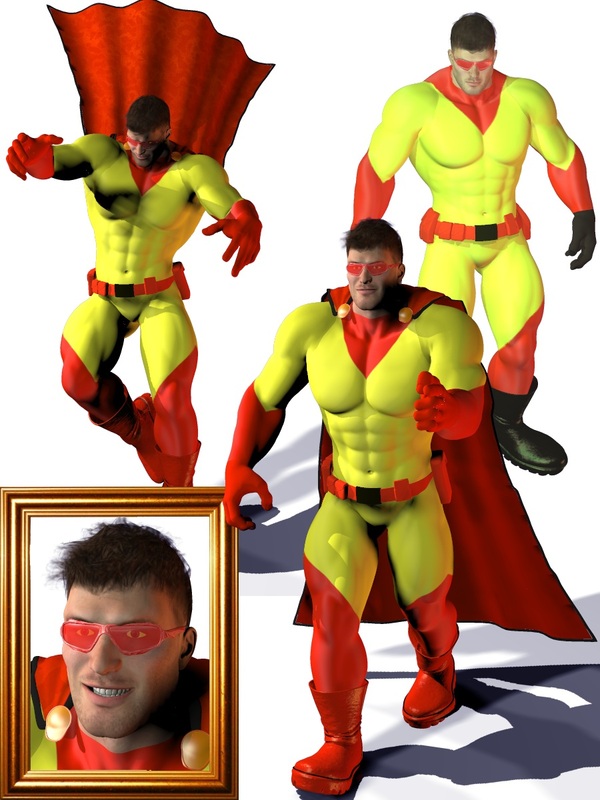 Welcome to the "official" website of Kevin Gerald Rau, author of superhero (e.g. Science Fiction) novels! Feel free to peruse these pages. See what I've published in the Books section. Find out more about me in my Biography. Send me a question to add to the FAQ section. Whatever you want to know about me, you can find here first hand. In the H.E.R.O. section are descriptions of some of the characters in the H.E.R.O. 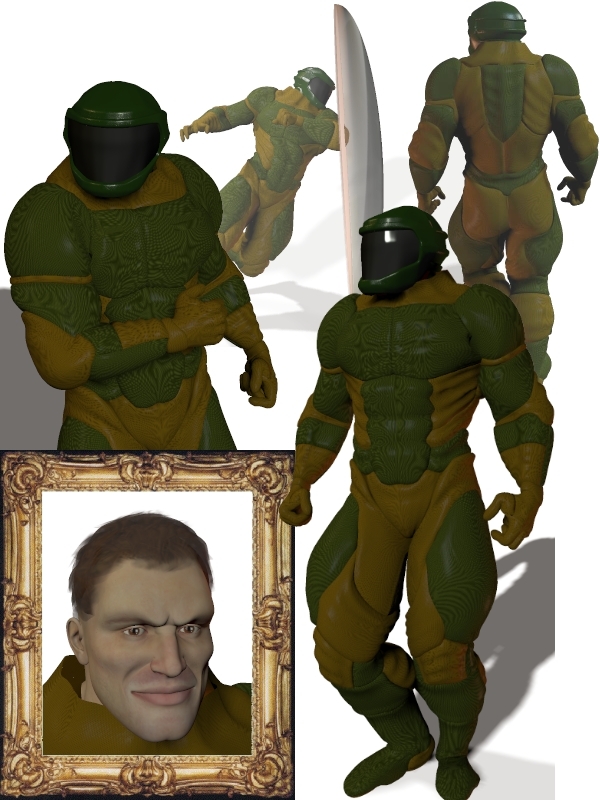 world, as well as 3D images rendered of most of them. Thanks for visiting! This is a new superhero universe, set purely in novel form. You won't find the common supers such as Superman, Batman, X-Men, Green Lantern or others owned by Marvel or DC Comics here. All are unique to my own universe, and it is constantly expanding. While the novels don't have pictures in them, I do place quite a few images here on the website to help visualize the heroes (as well as a few villains). Each book progresses the timeline of the universe, although the characters focused on may differ slightly with each novel, depending on the story. So I welcome you, dear reader, to the H.E.R.O. universe of superheroes in novels. Paperback copies are available on Createspace for $9.99. The entire series is visible on the BOOKS page at the top. Nightmonger snaps under the pressure placed by the heroes over the previous week, as they dismantled several of his drug operations, chop shops, the supervillain lair at the Portia Hotel, and the destruction of his brothel at the hands of Lady Rapture's people. He decides to send a message to the heroes of the city to back off ... by killing them. Numerous major battles occur between the heroes and villains as his new supervillain, Nuker, gains in power. The new band of human wanna-be heroes, Brighthorn and company, investigates the "superhero lair" mentioned by Diva and Sharae at Blacklight. It starts a chain of events where the men arm themselves against the mutants and continue their investigation into the death of the woman in the Anarchist zone. H.E.R.O. 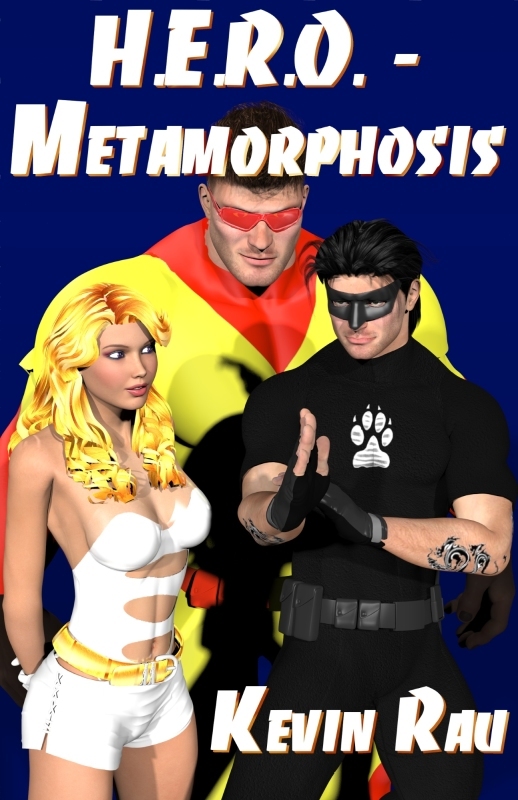 - Lashback is the 22nd book in the most extensive superhero novel series of the last decade. It is an action- packed, full-length written novel of over 104,000 words. Buy (or download free preview) e-book for $4.99 US on Amazon (Kindle), Smashwords, Barnes & Noble (Nook). Superman, Batman, Green Lantern copyright DC Comics. X-Men copyright Marvel Comics.